Introducing the Husqvarna K6500 series of high-frequency cutting equipment. High-frequency technology is the latest development in the industry and allows for cutting in sensitive environments. 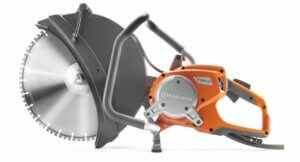 The K6500 Hand Saw and Ring Saw are part of Husqvarna’s PRIME™ range. The PRIME™ product range of equipment is powered by a unique power supply, which converts regular AC power into a high-frequency current that drives the cutting equipment. With PRIME™, digital electronics replace hydraulics and mechanics in all areas of concrete cutting. The technology behind high-frequency doesn’t use oil, rather a high-frequency converter creating a cleaner work environment. Sharp Concrete Cutters and Drillers boast of a range of high-frequency cutting applications including wall and wire sawing. This is one of Husqvarna’s most powerful electric handheld power cutters ever. This is the case even when compared in power to a hydraulic cutter. 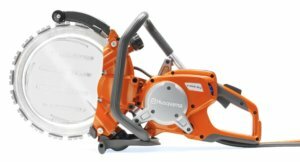 The first electric ring power cutter from Husqvarna is one of the most powerful handheld cutters ever. It is capable of cutting 10″ (270 mm) deep. The high output, low system weight, well-balanced body and low vibration levels make these machines very efficient. Sharp Concrete Cutters and Drillers boast of a range of high-frequency cutting applications including hand, ring, wall, and wire sawing.